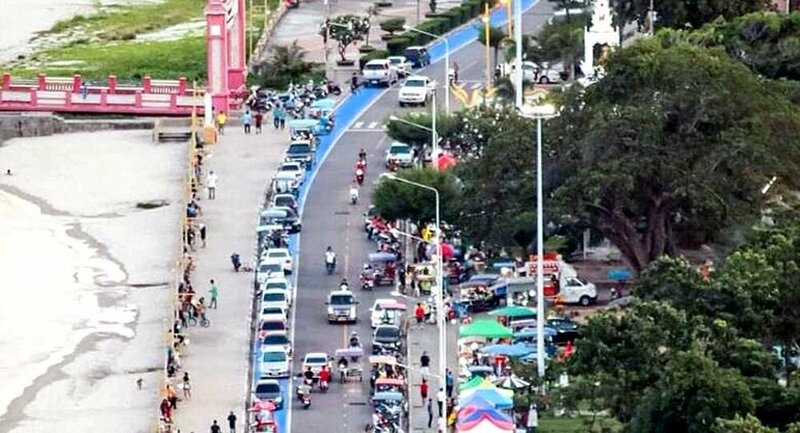 A Bt9.6-million, 2.9-kilometre-long bicycle lane along the beach in Prachuap Khiri Khan's Mueang district has ended up as parking space for vehicles, with police saying nothing can be done about it. Following complaints from local residents that they could not ride in the bike lane, Mueang Prachuap Khiri Khan police station chief Pol Colonel Chayinthorn Sukhonthorn on Tuesday said no action could be taken against motorists who parked in the lane. Chayinthorn said he would hold a meeting with other government agencies concerned to discuss what should be done about the bike lane. Sutthiporn Thiangtham, mayor of Mueang Prachuap Khiri Khan municipality, said the municipality had not taken over the bike lane from the public works office even though the construction work had been completed six months ago.